Befitting a world-wide conflict that caused unprecedented human and animal casualties, vast material destruction and immeasurable suffering and misery, the ending of the First World War was greeted with displays of uninhibited joy and relief. 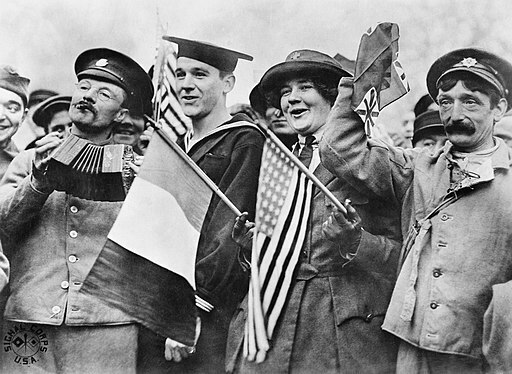 Once the news of the ‘armistice’ had percolated, via rumour and the press, through to the cities, towns and villages of the Allied powers worldwide, enthusiastic celebrations were instant and extensive. Although some contemporary observers have noted a mismatch in the degree of enthusiasm shown in response to the news of peace between service personnel near the battle zones and those on the civilian home fronts, the overwhelming impression of the visual, reported and anecdotal evidence is that the immediate news of the end of hostilities was widely and fervently embraced. Not so, and by way of utter contrast, was the response of GHQ Poona in India in November 1918. There, if the personal memory and eloquent prose of one who was present are to be believed, the military authorities calmly, and with great restraint, played down the welcome news of peace, which had filtered through to the place via local newspapers by the 12th November. Here and there regrettable signs of spontaneous boisterousness did bubble up. Some common soldiers, territorials and the like, had cheered and sung patriotic songs in the cinema, and others had attempted to form an impromptu procession. But the official eye had looked askance on these manifestations of joy and they had petered out. GOC Poona reacted to this epic day by ‘soldiering on’ and patriotically instructing all temporary RAMC officers still resident, to attend mule-saddling classes. An order which bewildered the medical officers but proved the source of great hilarity amongst combatant officers to whom, of course, it did not apply. In fact the high degree of post-armistice lethargy displayed in Poona’ stimulated noisy correspondence on the subject, and reasons for it, in the ‘Times of India’. The press spotlight once focused, had its effects and no sooner than the 27 November (16 days after ‘the guns fell quiet’) ‘a monster procession‘ was organised involving children, of all nationalities and faiths, marching in columns of four and waving little flags, and finally brought to a close by ‘a not too costly display of fireworks‘. The source for this bizarre picture of peace tardily and reluctantly celebrated is a remarkable personal account of First World War service: ‘Memoirs of a Camp Follower‘ (1934), by Philip Gosse. It is a gentle, compassionate and at times delightfully humorous take on active service life and front line experience. Gosse was a brave and resourceful RAMC doctor but the unassuming story he tells lays greater emphasis on his interest in observing wildlife on all the fronts he served rather than recording the details of his (often harrowing) medical work and narrow escapes. He was a great friend of the zoologist Oldfield Thomas who worked at the Natural History Museum in London, and sent a large number of specimens, including a wide variety of small mammals, expertly stuffed, from the battlefields back to the curators in South Kensington. And, if Poona in November 1918 disappointed Gosse by its reluctance to celebrate the arrival of peace, only three months previously it provided him with an instance of inspiring optimism and hope. While working at the King George Hospital in the late summer of 1918 he was in charge of a ward of seriously ill soldiers – all suffering from ‘Spanish influenza’ – and came across a patient who was clearly dying. This soldier was a Private in an unspecified Somerset Territorial unit, who in civil life had been a porter on the Great Western Railway and whose home was Stogumber. Gosse was familiar with the stretch of line from Taunton to Dunster, and, knowing the man’s civil profession, and at something of a loss, recited the names of the railway stations on the line in the hope that it might revive his patient’s spirits or at least soothe him in his last moments. The effect was remarkable in changing for the better the Territorial’s physical and mental state, and the performance was therefore regularly repeated. The man eventually recovered and Gosse was convinced the recitation of the familiar place names – ‘Norton Fitzwarren, Bishops Lydeard, Stogursey, Williton, Blue Anchor, Dunster, Minehead’ – had contributed significantly to his soldier’s survival. We do not know, Gosse does not tell us, but how fitting it would have been for the fully recovered unknown Somerset Territorial to have witnessed Poona’s belated Peace procession and that modest display of fireworks. Gosse was inspired to assist Thomas by another medical officer, Captain Charles McKerrow, while serving with 69th Field Ambulance in France in September 1915, whom Gosse observed ‘attentively skinning a field vole’ in order to make a fur muff for his young daughter’s doll. See ‘Memoirs of a Camp-Follower’, p.3. Formerly a Curator at the Imperial War Museum (retired March 2014), who has spent most of his career in museum work - including the Towner Art Gallery (Eastbourne), the Royal Engineers Museum (Gillingham) and a secondment to the Australian War Memorial, Canberra. He has a particular interest in the history of the Great War - especially the literary history of the conflict, notably trench memoirs and war-inspired novels. He also has a keen regard for British First World War film (official and unofficial) and German First World War satirical medallions (which he got to know well at the IWM). 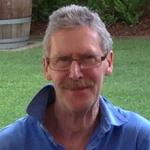 In recent years he has written campaign and battle narratives for the Commonwealth War Graves Commission's website, summary accounts of Anzac forces in the Great War to accompany the Royal Mail commemorative stamp issues, and contributed to the Commonwealth War Graves Commission’s Battle of the Somme centenary commemorations.